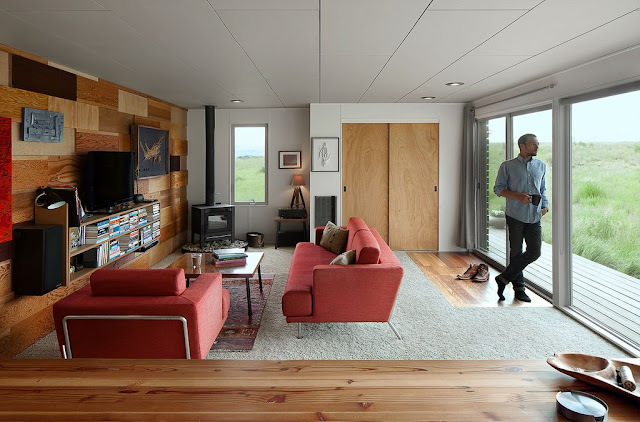 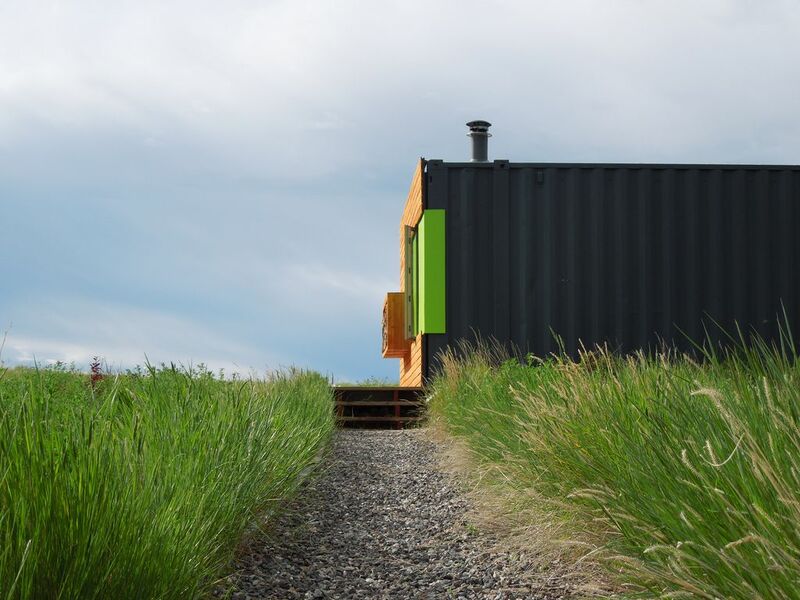 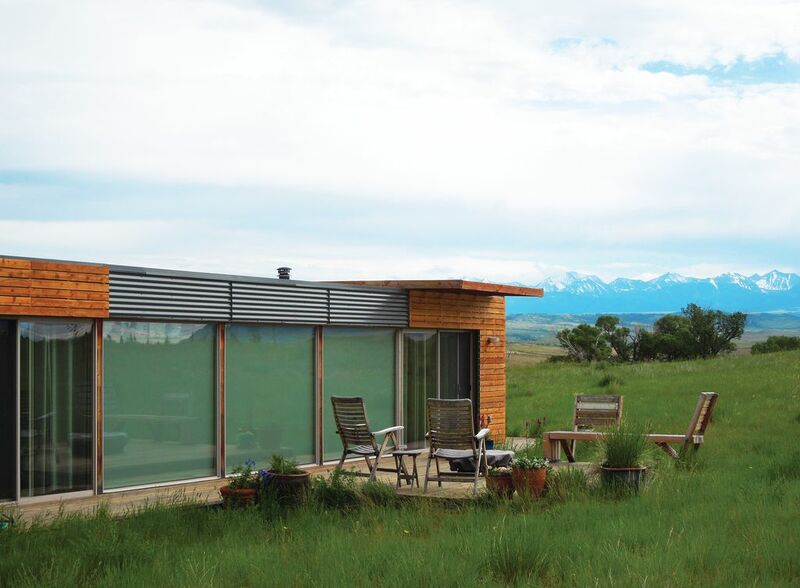 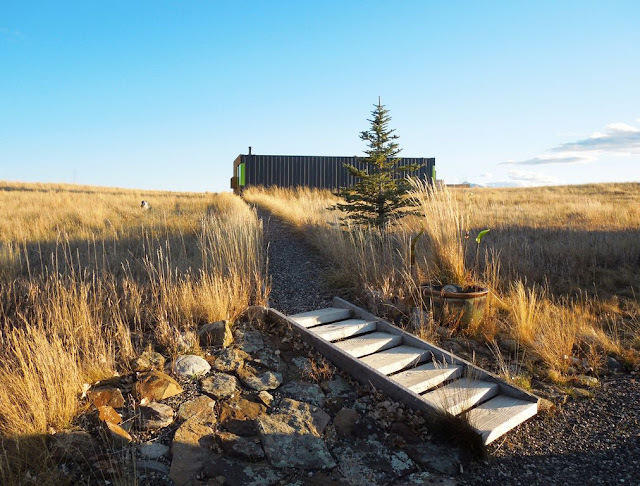 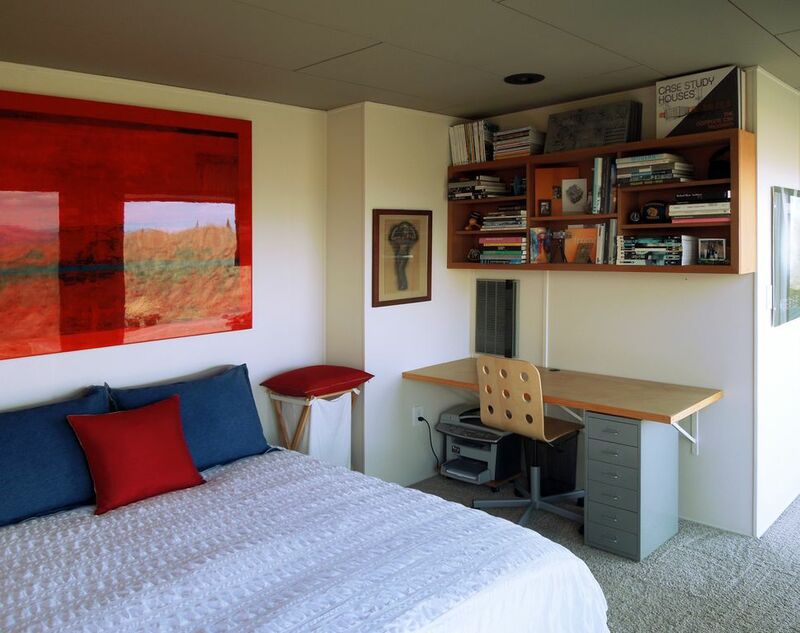 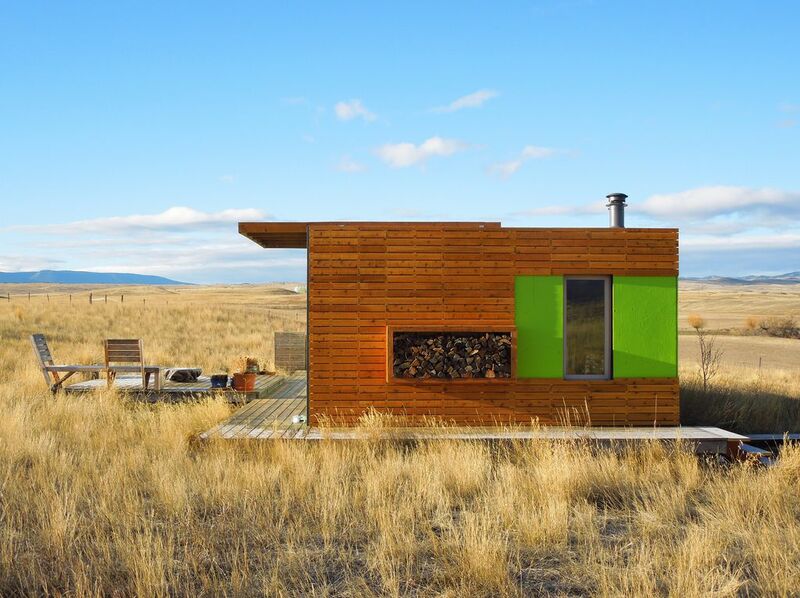 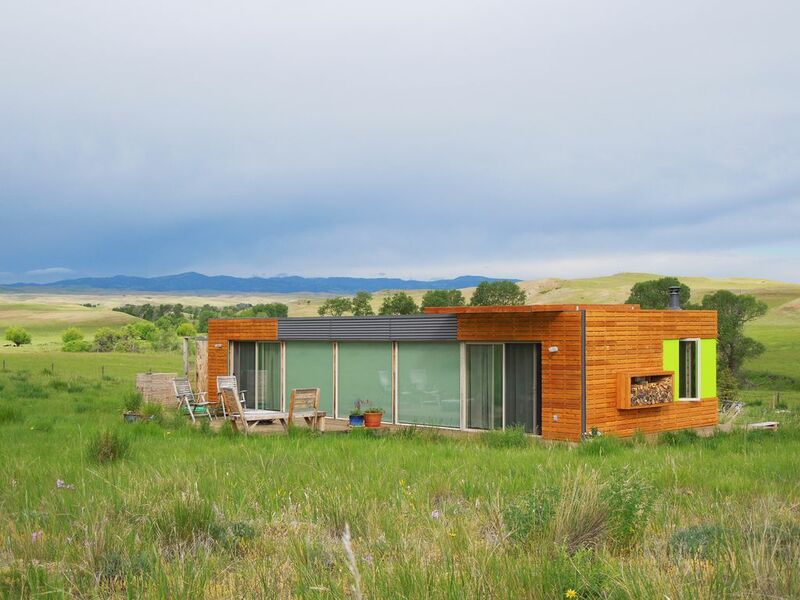 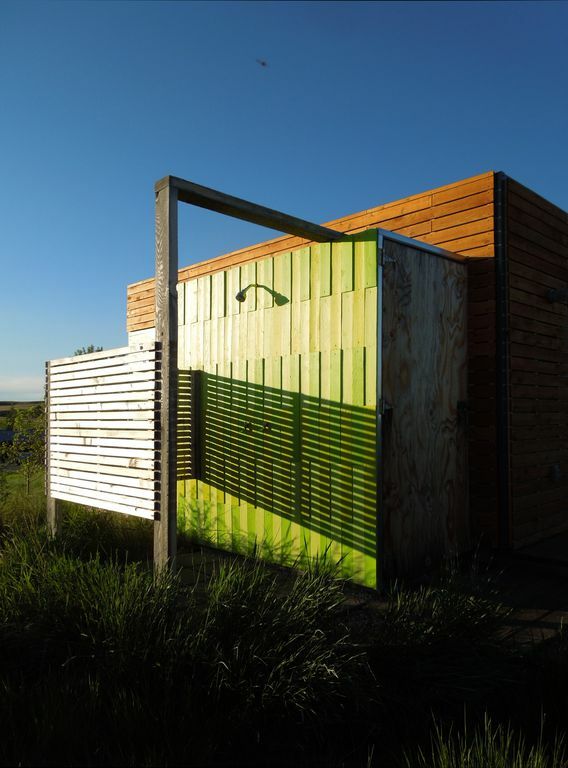 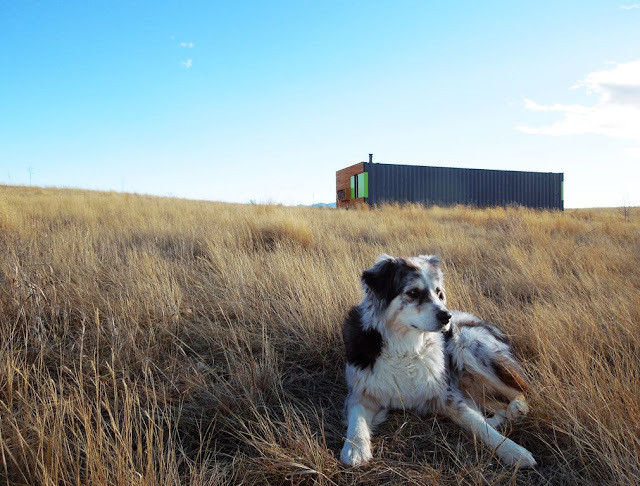 Wanting to disconnect from the stresses of a hyper connected life in Seattle, architect and builder Ty Kelly built a beautiful two shipping container home that allowed him to live off grid in style in Montana. 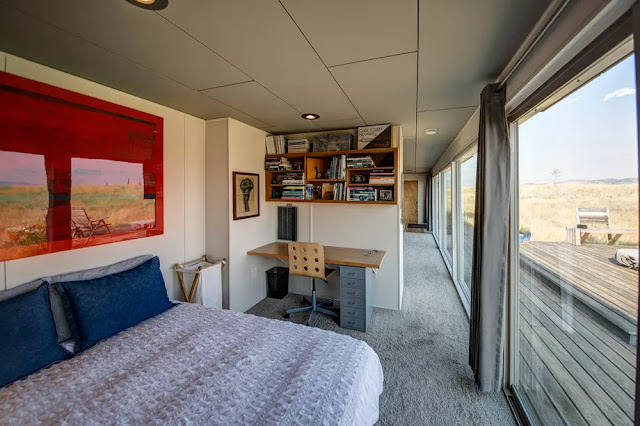 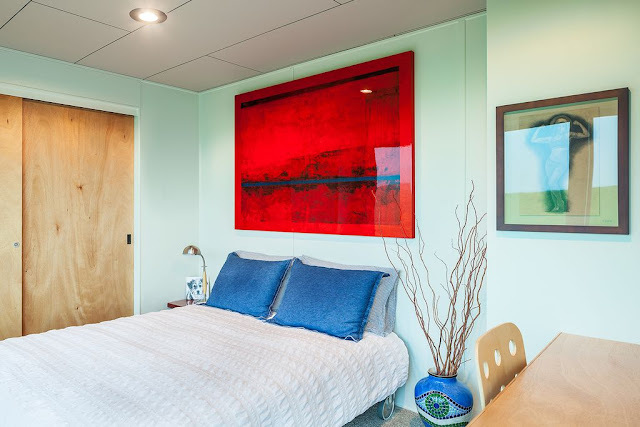 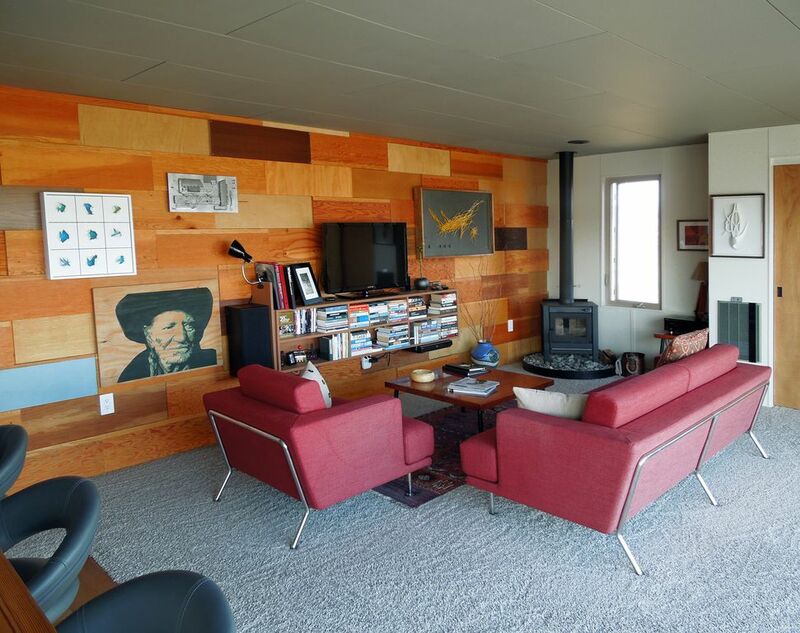 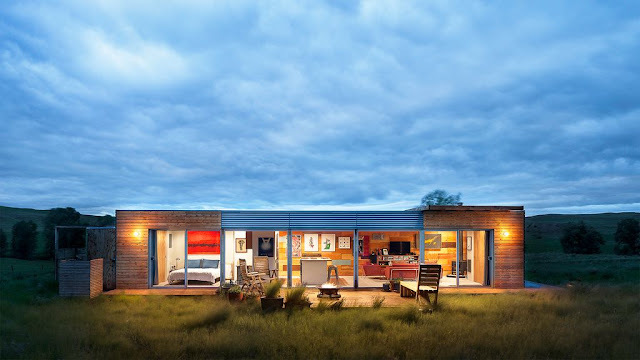 The modern structure, which was sold in 2017 for $125,000, is made out of two shipping containers, renovated into a lovely 720 square foot container home built with reclaimed materials as well as some seriously cool handmade finishings done by the architect himself. 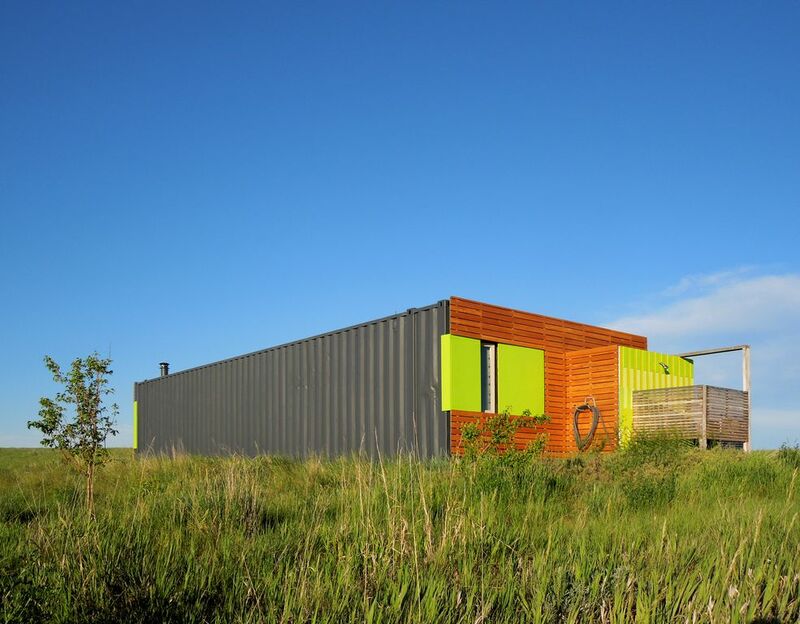 Unique modern two shipping container home has one bedroom and one bathroom, featuring clean, contemporary style with floor to ceiling glass. 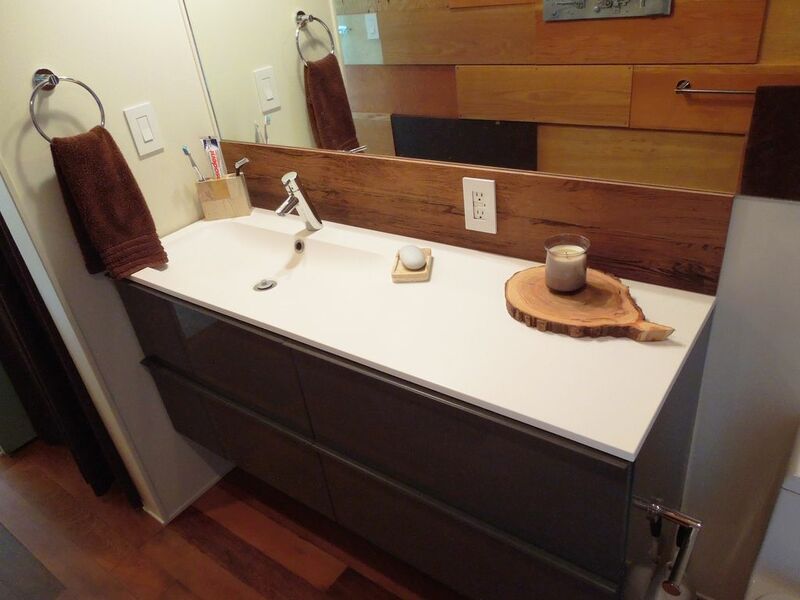 Features include wood burning stove, IKEA kitchen and bathroom cabinets, hand made butcher block counters, mosaic tile walk-in shower, cedar plank siding, Corbond spray-foam insulation, electric in-wall heaters, contemporary fixtures/appliances/faucets, reclaimed wood throughout and recessed overhead lighting. 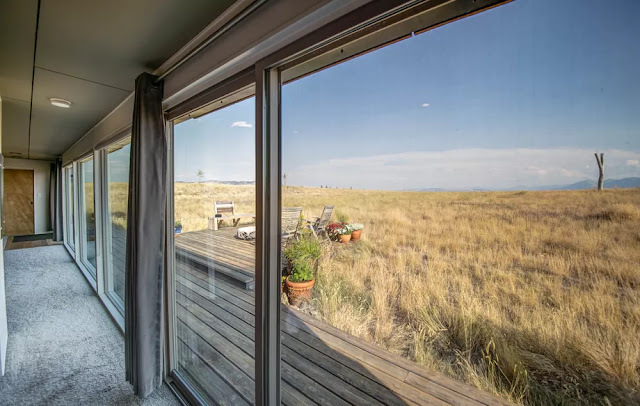 The house feels much larger than it actually is, in part because of it's open layout, as well as the all-glass wall which brings the outdoors in. Another admiral quality is the use of reclaimed and recycled material. 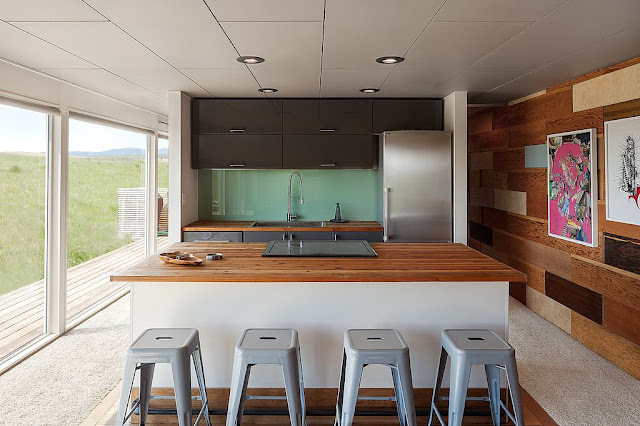 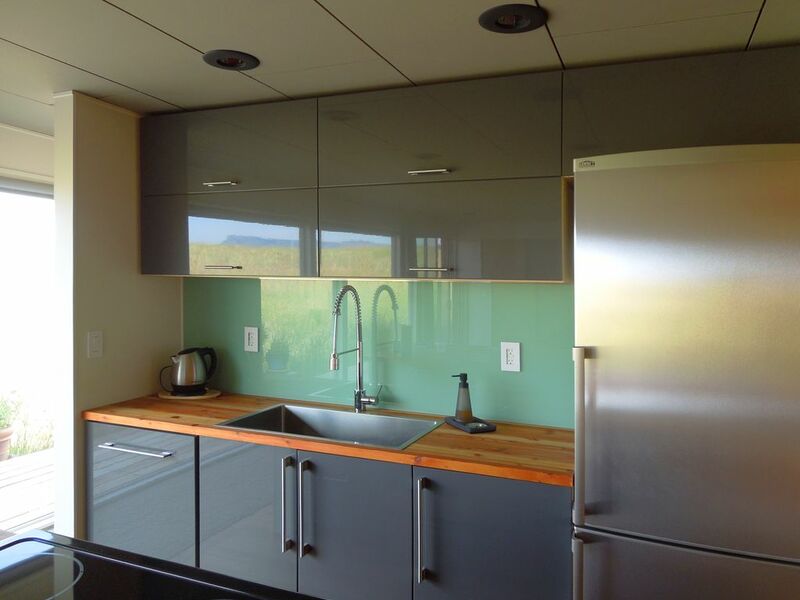 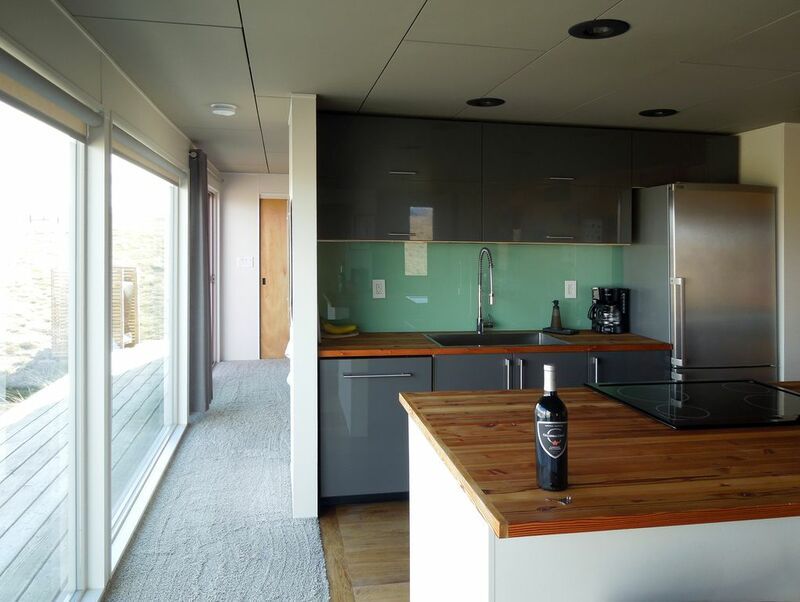 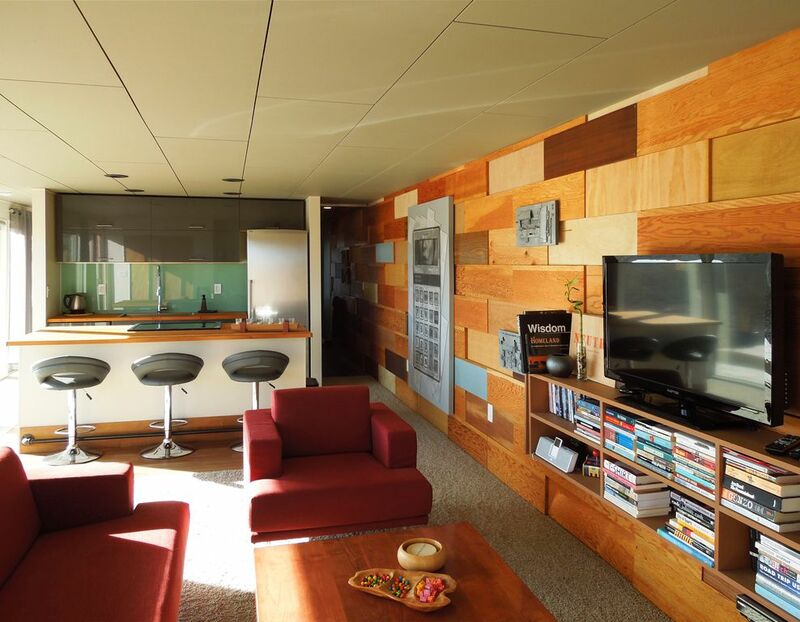 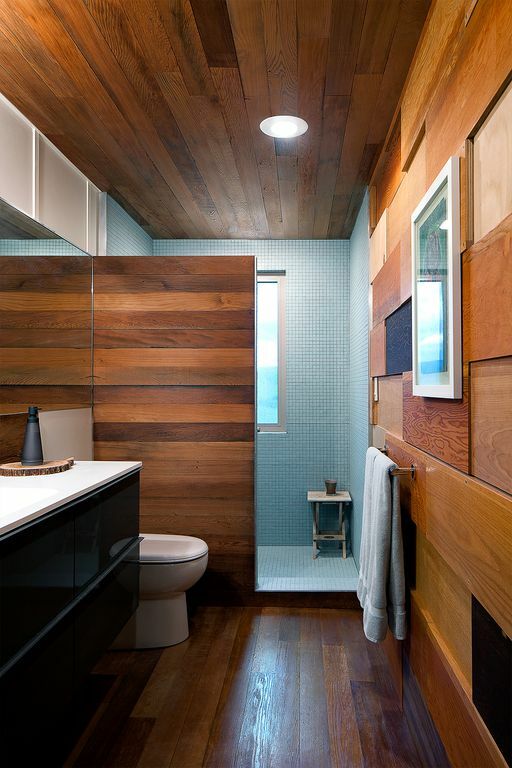 Not only the containers themselves, but many of the interior finishes were salvaged from other places, such as the butcher block countertops, redwood flooring and wood wall panels.